The reasons for leasing are as varied as the number of companies that use leasing as a key financial tool. In general however, leasing provides 100% financing, fixed regular payments, avoids large capital outlays, and preserves working capital and bank lines of credit. You can lease almost anything although some assets are more advantageous to lease than others. National Leasing leases everything from photocopiers and computers to forklifts and combines. In addition, we are always looking for new equipment to lease. We have over 45,000 customers ranging from one person consulting firms to Fortune 500 companies to Governments and Associations. However, we do not lease to individuals for personal use (consumer leasing). Your ability to lease is subject to credit approval. What Factors Determine Credit Approval? The type of business, length of time in business, financial condition, references from financial institutions, and credit bureau ratings are factors that determine credit approval. National Leasing is the owner of the equipment until the end of the lease at which time the lessee may opt to purchase it outright. How Much is a Lease Down Payment? 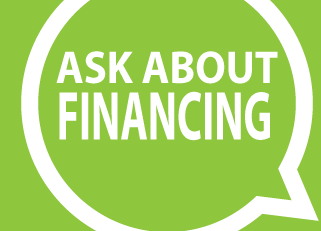 Leasing does not require a down payment. A security deposit representing your first and last lease pay- ments plus a partial payment if you begin to use the equipment before your first lease payment, is all that’s required. These payments are substantially less than a traditional down payment. Usually no, but equipment can be traded-in for new, leased equipment before the expiration of the lease term. We also provide a special rate for customers who required a “buyout” option during the term of the lease. Can Equipment be Purchased at the End of the Lease? Yes. You have the option of continuing to make payments and use the equipment, purchasing the equipment in accordance to the terms of the lease agreement or returning it to National Leasing.